Yesterday, I had the opportunity to host a coffee morning with HSS- Health and Safety Solutions. 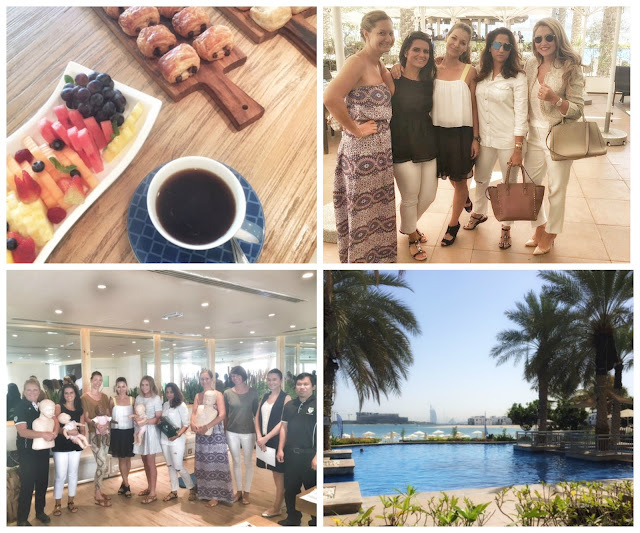 The intimate event took place at RIVA Beach Club with a group of lovely Dubai mamas. I am really happy to get the chance to bring mothers togethers to socialise with the purpose. This time it was about bringing awareness on the importance of First Aid knowledge for parents and nannies. To show how a First Aid Paediatric course can give people the confidence and skills to save lives. The event was a great opportunity to introduce Annie Browne Founder of Health & Safety Solutions Middle East. HSS is a high quality health and safety training and consultancy company based in Dubai that offer businesses, employers and individuals the incredible opportunity, knowledge, skills and confidence to do help save a life and know how to act in everyday medical emergencies. 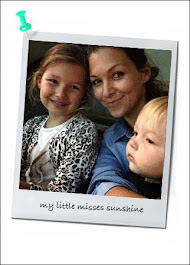 First Aid for Parents, Maids and Nannies is a course that Annie and the team are dedicated to raising awareness of this year and have made a pledge to train 500 parents and nannies throughout the Middle East by the end of August 2016. This course is a Paediatric First Aid course developed specifically for parents, maids and nannies and leads the way in providing the most up-to-date and essential first aid information. Meeting all of the specific guidelines set out for nannies in a simple six hour course, makes it an essential for anyone working with or around young children on a regular basis. Each of the variety of health and safety training courses are conducted by a talented team of qualified trainers and consultants originating from the UK, Middle East, and the Philippines. All courses are interactive and hands-on presenting real-life scenarios that are individually tailored to peoples or businesses specific needs. The morning was well spent discussing the reality of home safety with children. Annie took us ladies on a theoretical and practical tour, showing us the basics of choking and CPR techniques that are specific to infants who are aged 0 to 1, and children aged from 1 year old to the onset of puberty. It was a good demonstration of what the First Aid for Parents, Maids and Nannies is about. 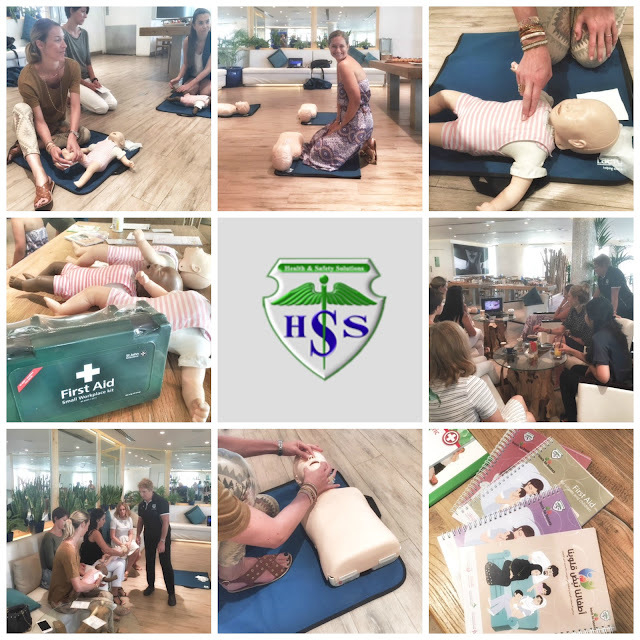 Thank you to the lovely moms who joined me - hope you will all take the time to consider HSS for your family safety and that your newly acquire knowledge will not be put in use. Follow HSS on Facebook and on Instagram @HSS_ME.